Both horses are in high investment/low return mode at the moment. Instead of perseverating on their lack of progress, I will spend this week in a journey of the spirit to Central Kentucky. 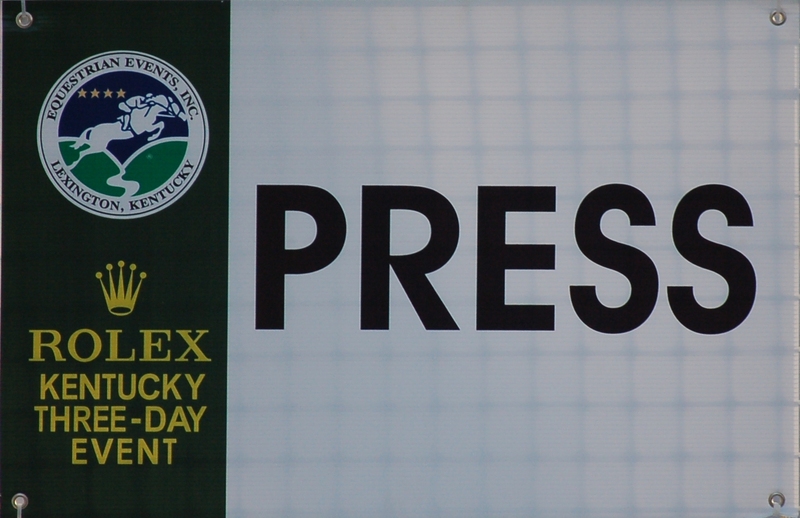 In the eventing world, the last weekend in April means the Rolex Kentucky Three-Day Event. Outside of a few purists in Lexington, no one calls it the Kentucky Three-Day. The horse world calls it Rolex. As in, have you ever been to Rolex? A U.S. rider dreams of riding at Rolex. I think this could be a Rolex horse. It may be the most perfect union of sponsor and event in advertising history. For over a decade, today would have been given over to frenzied packing. Squashing work files, cameras, computer, 3 different sets of volunteer uniforms, sturdy boots, rainwear, sun hat, kitchen sink into the back of a rental car. From the first four-star (1998) through WEG (2012 2010), I went to Kentucky for the week. I’d either volunteer or cover it for a magazine, or – in fortunate and hectic years – do both. I got good at zipping up and down Nina Bonnie Boulevard, the main road bisecting the Kentucky Horse Park. I’ve told my husband, if I ever go missing look for me in Kentucky. How can I not love a state whose major exports are Thoroughbred horses & bourbon? Then my life reorganized and Rolex – amazingly – staggers on without me. I could paint pictures of galloping horses, green grass, and stone fences but my vacation slides don’t rivet as do those of travel writer Tim Cahill. I’ll skip to the take-home message. Go. 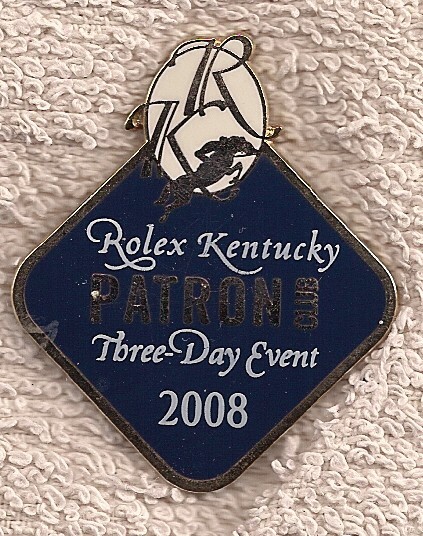 If you’ve ever wanted to attend Rolex, or Devon, or the Quarter Horse Congress, do so. Every discipline has a high-end horse show as festival: world-class competition, oodles of like-minded folks, old friends from every part of your life, and shopping. I am not a shopasaurus [Retail Therapy] but even my wallet takes a beating at the Rolex Trade Fair. I keep threatening that next year, I’m going to run down the aisle throwing twenties at random intervals. It would be cheaper. What would be your dream horse vacation? It really is all starting to blur …. WEG was 2010. If it’s any comfort I’m giving this year a miss too. But I’m not happy about it. Long day, late night. Or maybe I just hoped I was going in 2012. I took my dream horse vacation: Badminton in 1990. I had a press pass, too, so it was about as good as it gets. That said, I’ve never been to Rolex.